Searching for a needle in a haystack. That’s how Dr. Samir Hanash described the long, intensive process of finding a blood-based biomarker to detect lung cancer. So, when the Canary Lung Cancer Team, with Hanash at the helm, discovered a promising candidate called pro surfactant protein b (SFTPB), the potential impact was tremendous, especially since there has been only one other similar discovery to date. Early validation studies of SFTPB have been so promising that multiple parties – among them The University of Texas MD Anderson Cancer Center and tech startup MagArray – have entered into negotiations with Canary Foundation to do further testing. As part of a comprehensive lung cancer screening process, SFTPB has the potential to address shortcomings like false positives on CT scans as well as more accurately identify who should be screened and predict how frequently the person should be monitored. Dr. Hanash recently discussed the discovery of biomarker SFTPB and its potential in a conversation with Canary Foundation that can be read below. Canary Foundation: Can you explain the current state of lung cancer screening and why it is important to add biomarkers into the process? Dr. Samir Hanash: The uptake of lung cancer screening with low dose CT has been quite modest in the U.S. and not at all in European countries. Blood-based biomarkers to determine the need for CT would represent a paradigm shift. CF: When did your search for a lung blood biomarker begin? SH: It began more than 15 years ago when I was at the University of Michigan. CF: What makes it so difficult to pinpoint promising lung cancer biomarkers? SH: Tremendous disease heterogeneity (diversity), limited availability of most informative samples for early detection, the need for in-depth high sensitivity methodology to find the needle in the haystack. CF: At what point in the process did SFTPB emerge as a potential biomarker candidate? SH: It emerged when we integrated data from mouse models of lung cancer with human data and lung cancer cell line data. CF: What qualities does SFTPB have that led you to focus on it? SH: We have subjected it to a multitude of blinded validation studies, and it came out significant for discriminating between lung cancer and controls. CF: Validation studies of SFTPB have been very promising. What do these studies reveal in terms of the biomarker’s potential? SH: That as part of a broader panel of biomarkers for lung cancer, it can be an effective tool for lung cancer screening. CF: Now other groups are interested in further testing SFTPB and Canary Foundation has developed a licensing agreement to facilitate this. Why is additional testing necessary and what are the potential outcomes? SH: There are many clinical indications related to lung cancer for which SFTPB may or may not be useful. CF: If further studies of SFTPB continue to produce promising results, what are the next steps? How long could it be before SFTPB is used in lung cancer screening? SH: That depends on performance in the most rigorous validation studies that meet FDA requirements. 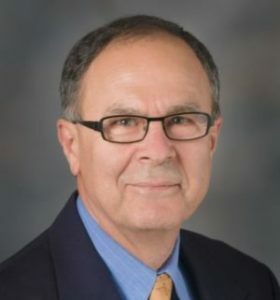 Samir M. Hanash, M.D., Ph.D., is a professor in the Department of Clinical Cancer Prevention at The University of Texas MD Anderson Cancer Center in Houston. We thank him for his insights.